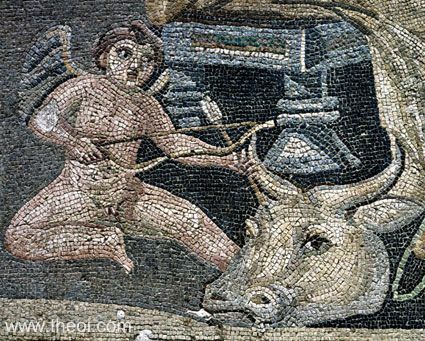 Detail of Eros, the god of love, from a painting depicting the tale of Pasiphae and the wooden cow. The godling is depicted as a winged infant armed with a bow. He pokes the head of the wooden cow with one of his love-arrows, so making the faux-heifer desirable to the bull.